In autumn 2014, nine of us, six boys and three girls, from Williamwood High School, Glasgow decided that we wanted to do something different next summer. 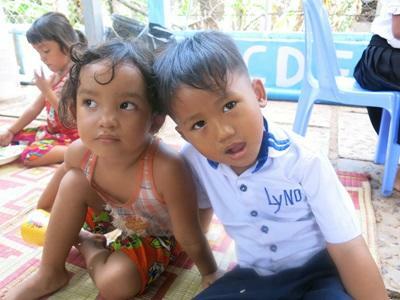 One of us knew somebody who had travelled with Projects Abroad before and so we eventually settled to join a two week Care and Community project in Cambodia. Over the next year or so we set about raising the money for our trip, both individually and as a group. We had a book sale, raffles, a spa night and baked many, many cakes. In the run-up we also kept in regular contact with Projects Abroad through emails, phone calls and even a face to face meeting. All our questions and concerns were addressed and the whole process was made very simple. Finally, the time came for us to leave and after a long, tiring flight we arrived in Cambodia and were met by the staff who would be looking after us for the next two weeks. Our leaders were always there to deal with anything and as they were so friendly they just felt like part of the group. The first thing you notice about Cambodia's capital, Phnom Penh, is the utter chaos that is the traffic. Swarms of motorbikes, sometimes with whole families piled on, fill the streets and I saw perhaps two sets of traffic lights during my stay. However we soon learnt as a pedestrian that as long as you stay alert and never hesitate, there's little danger. Our accommodation was in a guest house a five minute walk from the Projects Abroad apartments and I was surprised by how comfortable it was. After a day's induction we went out to a local restaurant for dinner, which gave us a chance to get to know the other volunteers on our project. There were people from all over the world, including France, Shanghai, Japan and Hong Kong. Everyone soon became firm friends and by the end of the fortnight the goodbyes were genuinely emotional. 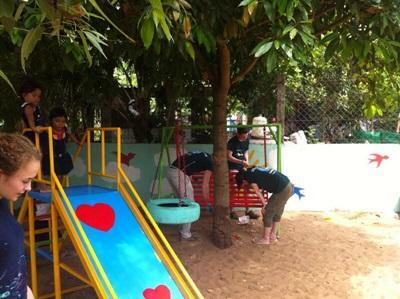 Our project was at a day care on Koh Dach Island in the Mekong river, an hour's drive from the city. It was quickly evident that life on the island was far more basic than in Phnom Penh but it was reassuring to see that the children had somewhere to go and to be able to contribute to that. The kids were aged roughly from four to six and quite simply adorable, if a little difficult to keep away from wet paint without the language skills. 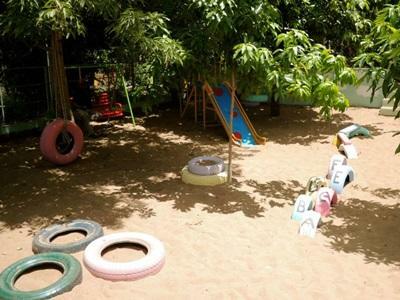 Our time at the day care was split between building a play area for the children, putting in a garden, painting the walls and helping to teach, play with and wash the children. Over the first few days everybody was given a chance to try everything and after that we were given more freedom to put our skills where they could be most effective. The design of the play area and the garden was left totally up to us and it was incredibly rewarding to see our ideas fully realised and the kids enjoying it. Although the work was hard going, especially in the Cambodian heat, it was certainly worth it. 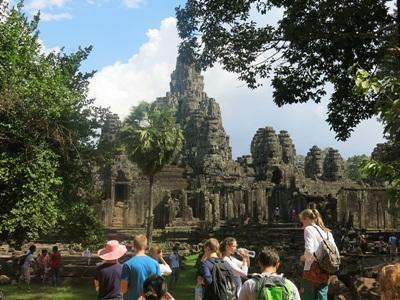 In between our time at the day care, we were taken to see some of the sights, most notably Cambodia's famous temples, which are around a thousand years old and now surrounded by jungle. The size, architecture and artwork that went into these structures is astounding and made us realise the scale of the empire that was once ruled from Cambodia. 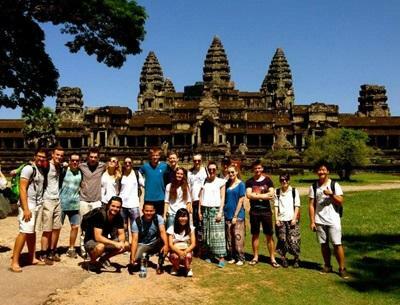 The huge structure of Angkor Wat is particularly impressive and almost impossible to tear yourself away from. In addition to this we spent a day at the Khmer Rouge's infamous killing fields and their largest prison. This was a harrowing but also worthwhile experience and we even got to meet some survivors of the regime. This part of the trip was very helpful in allowing us to appreciate how far the country has come in such a short space of time. Our last day was bitter-sweet. We threw a party for the children at the day care centre, bringing food and a few presents. We even attempted to introduce some Scottish culture with some shortbread and flags. That evening we finished the project with a boat ride down the river at sunset, which none of us will ever forget. Then the next day we all had to say goodbye to the people we'd been so close to over the past fortnight. The whole thing was a fantastic, eye-opening experience that not only left us with a genuine sense of achievement but brought us closer together and exposed us to people and a culture that we would never have discovered otherwise. 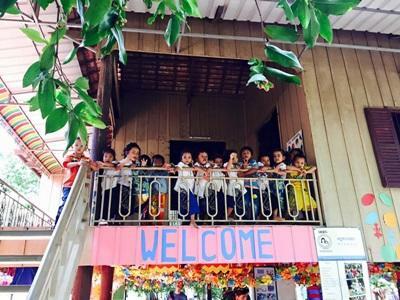 Read more about Care & Community in Cambodia.